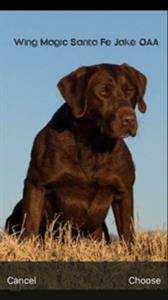 Chocolate Jake is from one of the best chocolate breeding’s ever FC AFC MH X GMPR MH. 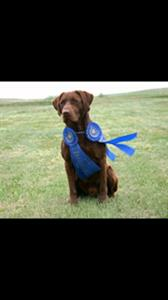 This is the same breeding that produced Ammo FC AFC CNAFC CFC and all time high Point Derby Dog. 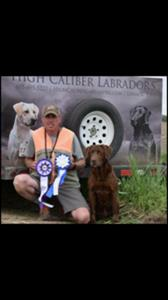 This breeding produced multiple GMPR MH and QAA dogs. Jake is very driven and can mark almost anything. Jake has produced multiple APLA titled offspring. We will not breed to Silvers or any female that carries the dilute gene.